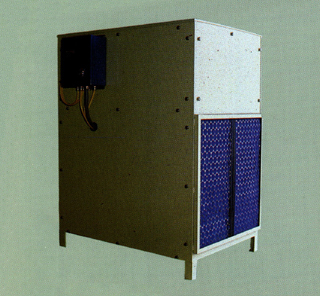 Three horsepower, air cooled chiller used to cool water, water soluble oil, cutting oil, or hydraulic oil. The evaporator of this unit is a hybrid, not a true DX or flooded version. It is cleanable, but it requires more time for disassembly than a flooded chiller.